SUMMER BRAIN DRAIN? NOT HERE! 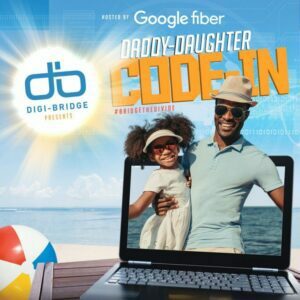 Digi-Bridge believes that every learner deserves access to high-quality summer programming in order to combat summer learning loss and enable scholars to stay on track with their peers. All young people experience learning losses when they do not engage in educational activities over the summer. However, learning loss is a more drastic reality for students who do not have access to summer learning opportunities. Did you know? 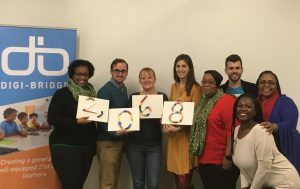 Most students lose about two months of grade level equivalency in mathematical computation skills over the summer months. 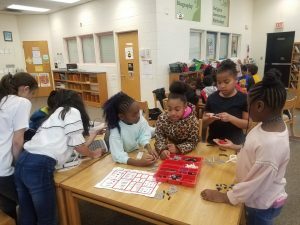 Further, low-income students also lose more than two months in reading achievement, despite the fact that their middle-class peers make slight gains, according to research compiled by the National Summer Learning Association. 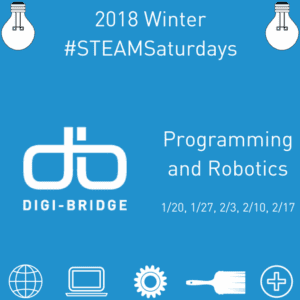 Digi-Bridge’s #STEAMSummer courses are an opportunity to combat summer learning loss AND expose 21st century learners to new skills–like computer science and digital design–that they wouldn’t otherwise receive. Computer science education over the summer months–including access to hardware and software–is a must. 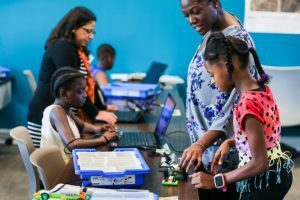 At #STEAMSummer, we’ve teamed up Kent Academy to host five-day courses for scholars to learn by doing with Lego robotics, Makey-Makey circuits, and more! 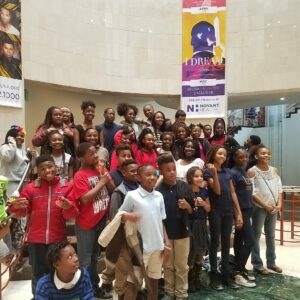 Our K-8 participants gain opportunities to create while learning fundamental technology skills and computer science basics. All courses are led by certified instructors. Here’s the catch-we want the entire room learning by doing. Our modules are an attempt to infuse Seymour Papert’s theory of Constructionism into Charlotte’s communities of learning. 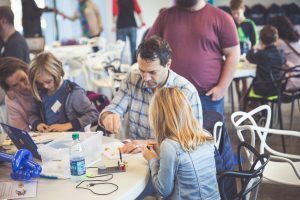 Much like Papert, our team believes that teacher and student can build knowledge together through the creation or construction of tangible things. All of our #STEAMSummer offerings do have a “suggested tuition” rate, as the dollars generated from these courses support the general operating expenses of our organization. When you sign-up, there’s a button that asks you if you’re interested in scholarships–if cost is a potential barrier, we want to remove that barrier.